Our company is a coveted manufacturer, wholesaler and distributor of Grade-A Triple Spur Gear Chain Pulley Block Model-M. 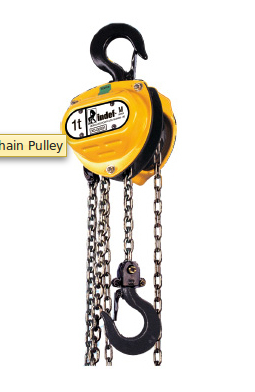 Offered Gear Chain Pulley is made from tested quality iron other basic material with the aid of ultramodern technology. The provided Triple Spur Gear Chain Pulley Block Model-M is gettable in various specifications at industry competitive rates. Trader of lifting items and chain wire ropes.